It is fair to say that Manchester has a gritty past, but the last 20 years have seen the city centre re-energised into one of the UK’s leading shopping and lifestyle destinations. With brands like Selfridges and Harvey Nichols calling the city home, streets of great restaurants and bars and a vibrant nightlife scene, it’s the ideal place to go for a weekend break. Under 3 hours by train from London and approx 4 hours via Edinburgh make it conveniently easy to get to. 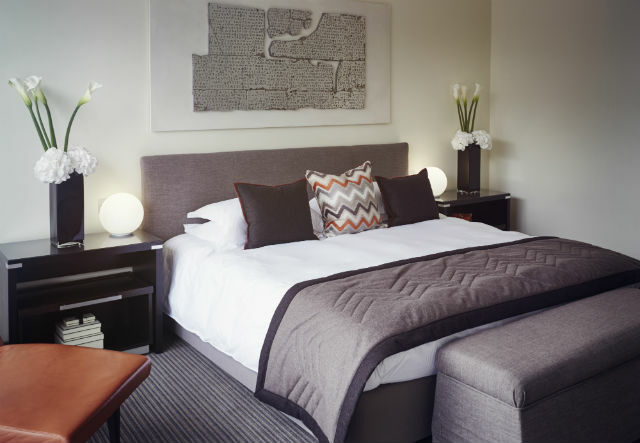 TLE love visiting the city and here is our pick of the best places to stay when you visit. Located in the heart of the city this premium luxury hotel is well worth a stay. Built in 1858 to commemorate the repeal of the Corn Laws, it was reborn in 2004 as the magnificent luxury hotel. Complete with award-winning restaurant and soothing spa, the Radisson Blu Edwardian Manchester nods to its historical past as the Free Trade Hall (and original home of the Hallé Orchestra), with its original façade and heritage artefacts. Yet despite the gaze to the past, it continues to look forward to a decadent present with richly decorated rooms, marble bathrooms and complimentary WiFi throughout the hotel. Though the Twin and King Deluxe bedrooms have amenities perfect for any tired and weary traveller, with bespoke furniture, original art, percale cotton linen and walk-in showers, true opulence lies in the Pennine Suites. These four luxury Penthouse Suites on the 14th Floor, are each designed with glamour and luxury at their heart. With their own sitting room and outstanding views over the surrounding city and countryside, any luxury traveller would be happy to call the suite home for the duration of their stay. More than just the first five-star hotel in Manchester, and one of the few hotels in the UK to be part of the prestigious Leading Hotels of the World international hotel portfolio, it’s also the original location where cult British characters ‘the Dandy’ and ‘the Beano’ were printed. Despite the high jinx and energy these DC Thompson characters exuded, since 2001, the building has served as a haven for serenity and peace. With its 165 bedrooms including six suites, luxury Lowry Spa offering a range of Carita and Elemis, gym, sauna and relaxation lounges and the delicious River Restaurant, River Bar and Library, offering hungry guests delicious modern British cuisine, there’s plenty to get up to. Luxury comes in all shapes and sizes, but surely no better than in the Charles Forte Presidential Suite where you’ll be treated to adjoining bedrooms, a super-king-sized bed, vanity area, a walk-in dressing room, slippers and bathrobes, 40 inch SMART TV, stunning views and of course a baby grand piano in your lounge-dining room for eight! Now to book the pianist for your evening’s entertainment! In one of Manchester’s grandest listed buildings, designed in the beautiful Art Deco style, is a hotel that nods to its past as an important banking establishment. You’ll find ornate detailing, polished wooden counters, vintage decorations and rich soft furnishings that will make you feel like you’ve stepped into a bygone era. Beauty lies within each of their 60 rooms. Decorated to create a sense of calm and serenity, they playfully include references to the banking past with moneybag-style laundry bags, sumptuous fabrics, geometric carpets and the monochrome palettes of black, gold and grey. Though each of the rooms is a delight to stay in, the Bank Manager’s Suites are the height of opulence. With an emperor-sized bed, a feature roll-top bath in the main bedroom, Egyptian cotton bed linen, waffle robes, espresso machine and en-suite shower you’ll never want to leave. But of course you’ll not want to miss the Honey Restaurant, Club Brass and Club Brass Roof Terrace, each intensifying the sense of theatre, fun and excitement found within the hotel. 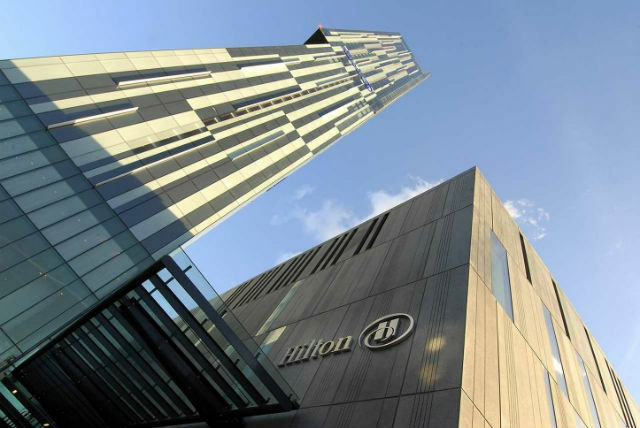 Located in the iconic 47 story Beetham Tower, a site in itself, the Hilton Manchester Deansgate is perfect for shoppers, foodies and sports fans alike. Close to an array of shops, restaurants, bars, as well as Old Trafford and the Eithad Stadium, there’s plenty to see and do when you’re not sleeping. Make your way to Cloud 23, one of Manchester’s most exclusive bars, for a cocktail. Or why not take a dip in the 20m heated indoor pool, refresh in the sauna, whirlpool or steam room or book yourself in for a treatment at the Claretys Spa for true relaxation. Why not splash out on a Suite for an even better view, complimentary mineral water, fluffy bathrobes, luxury toiletries, King-sized bed, marble bathroom, a beautifully furnished sitting area as well as access to the Executive Lounge and a complimentary breakfast. 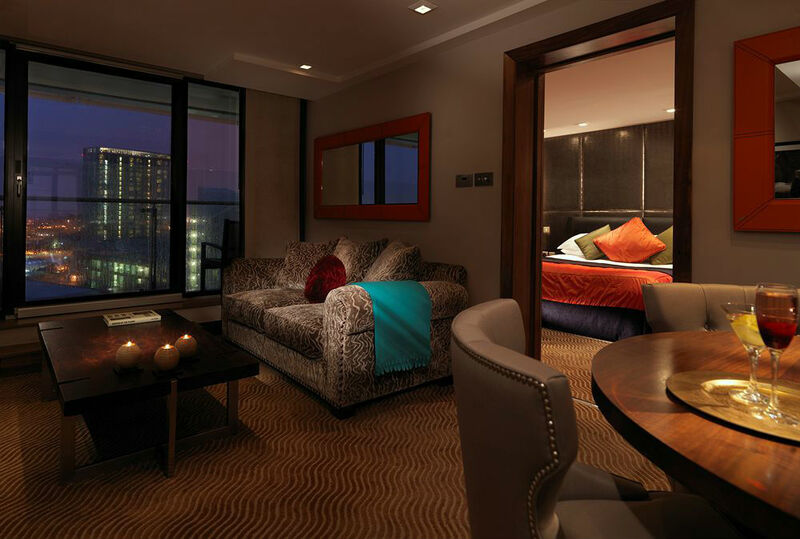 But, for a truly opulent and luxurious stay, and the best views in the hotel, an Executive Room is a must. With LCD TV, exclusive bath products, separate bath and shower, as well as free canapes and drinks on the 23rd Floor, you’ll have to make it exclusive or bust! 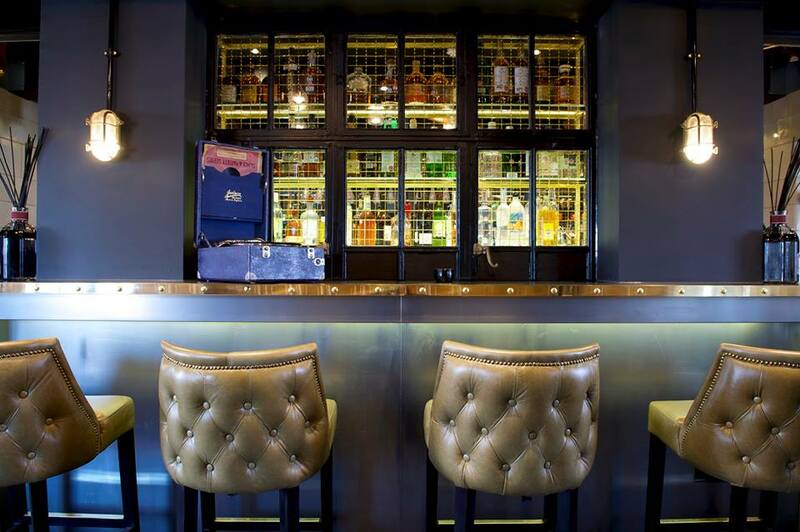 Feel like you’re back in school again, but in style, when you stay in this former Victorian school house at the Great John Street Hotel. 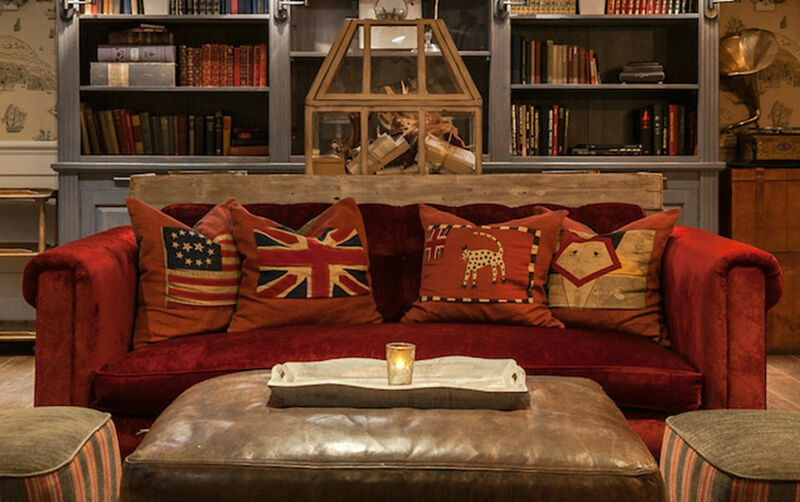 Playfully in keeping with the schoolhouse past, you’ll find the Library, designed with Ralph Lauren influences, is a stunning space with comfy sofas, armchairs and fire burning stove, that’s perfect for an intimate drink or private party. For the business-minded, the Headmaster’s Office and Boys’ & Girls’ Classrooms, are excellent venues for business meetings and private dining. Yet, despite its clear collegiate roots, guests will enjoy beautifully appointed rooms. No hard wooden seats or chalkboards in sight, only antique crystal chandeliers, goose feather pillows, walk in rain showers and cast iron roll-top soaking tubs for two. Whether you decide on a Baby Grand suite, a Boudoir Grand, Classic Grand or Eclectic Grand, you’ll be in the lap of luxury. However, for anyone wanting the ultimate in indulgence, the Opus Grand Suites are the only way to go. With more than 625 sq ft of space each, King sized beds, 2 flat screen LCD TVs in each duplex suite, a stereo and iPod player, separate lounge and period furnishings, you’ll be feeling like the Headmaster of your own relaxation. 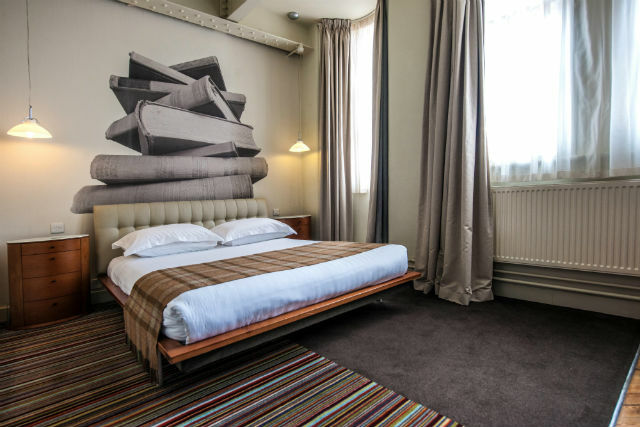 Minutes from bustling Piccadilly, in a beautiful Grade II listed Victorian cotton merchant’s wholesale warehouse, is a hotel with style and presence. Complete with retained period features like their extravagant walnut staircase with detailed tiled and wrought iron work, it mixes the beauty of traditional style with a modern loft-living vibe to create 61 rooms perfect for any weekend away. With an array of rooms, ranging from Comfortable, Desirable to Enviable there are spaces to suit every budget. But, a luxury traveller shouldn’t settle for anything other than FABulous on Fifth! With their period features like ironwork columns, exposed beams and FABulous polished parquet flooring, the five Suites show the majesty of the traditional building. Yet, despite their look back in time, you’ll enjoy modern indulgences like a Vi-Spring bed, velour bathrobes, complimentary regional tuck box as well as stunning art from ground breaking artists like Yoko Ono and local, David Hockney, on the walls.